A democratic exercise? Certainly doesn't feel like one. Public hearings are notorious for leaving council members exhausted, members of the public frustrated, and decisions that seldom seem connected to the proceedings themselves. This format and mechanism are partially products of our focus on democracy as accountability and equality of voice. At a public hearing, any resident can register to speak, and views are expressed directly to council members, unfiltered. The reason this format feels so awful is out of neglect for other components of democracy that are often overlooked, ignored, or are poorly understood altogether. The democratic potential of our communities requires that we make space for things like consensus and deliberation. Consensus can be thought of as general agreement, or opinions that are in alignment. However, in practice, it does not always mean 100%, unequivocal, agreement. The process to reveal areas where there may be consensus across a diverse group of people requires some degree of deliberation - which is very different than what happens at a public hearing. Deliberation is more like conversation: I share my opinion, you share your opinion; I listen to your thoughts, reflect, and adjust my opinion based on what I've heard. You do likewise based on my renewed opinion, until we've both arrived at a new or different perspective that neither of us had at the outset. This is what is meant by the term building consensus. This process is time consuming, and requires that participants actively listen to one another, have trust, and are wiling to learn. These are atypical features in our current forms of government and decision-making. However, there are examples where these approaches have been tried. Check out this process to involve BC residents in the creation of health policy. This handbook outlines several other instances across Canada when citizens are invited to deliberate together with one another, and engage in deep learning on a particular subject where they don't necessarily have specialized expertise. The thing is, this approach is difficult to scale. It requires that people meet together, face to face, multiple times. Through these processes people build relationships, and come to know and understand one another. Even more critically, everyone in the process learns something. And in today's world, a little bit of learning could go a long way. Who gets to decide when it comes to Community Amenity Contributions? This week we're approaching candidates in the upcoming Vancouver municipal election to get their feedback on the city's approach to Community Amenity Contributions (CACs). 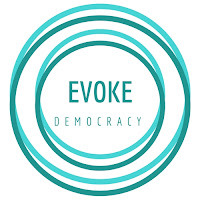 The Evoke team undertook a case study and research project in this area, and believes these could be better approached. Candidate responses will be posted on this site, meanwhile, here's some background on our perspective. The City of Vancouver has a Community Amenity Contribution (CAC) policy, officially established in 2004 with their Financing Growth strategy, where all new development and rezoning applications contribute, financially or in-kind, to community amenities. The CACs are extracted from new development and spent upon Council approval in a number of valuable areas such as: affordable housing, child care, amenities, green spaces, community infrastructure and other public goods. Where do the candidates stand on CAC's? After the release of our research paper Who's Counting the Dollars?concerning Community Amenity Contributions, we have asked candidates in this year's municipal election for their thoughts on our recommendations. We will post responses here as they are received. One of the big ideas that OneCity Vancouver is bringing to this election is our Windfall Power Land Value Capture proposal (sometimes called a land value tax, or land lift tax). You can read more about it in this Vancouver Sun Op-Ed, and more will be released with our platform soon. Does an efficient public service destroy community accountability? New Public Management is an approach to running public service organizations (government services), and civil service generally, focused on service delivery that is efficient, business-like, and that incorporates market based principles. It includes management techniques and practices drawn from the private sector, allowing public servants to contract out services through competitive contracting, and focused on the professionalized delivery of public services. The problem is...this approach may result in a loss to democratic accountability.